The acquisition of any animal ideally requires prior research, planning, and education – three things that don’t occur when a person acquires a dog impulsively. Such acquisitions are frequent and are often, precipitated when a person finds a dog in need. The animal may be a stray or the resident of a high-kill. The person takes one look, falls in love, and the next thing you know they’re buying dog food for an animal they know nothing about. Thankfully, most adoptions have happily-ever-after endings. 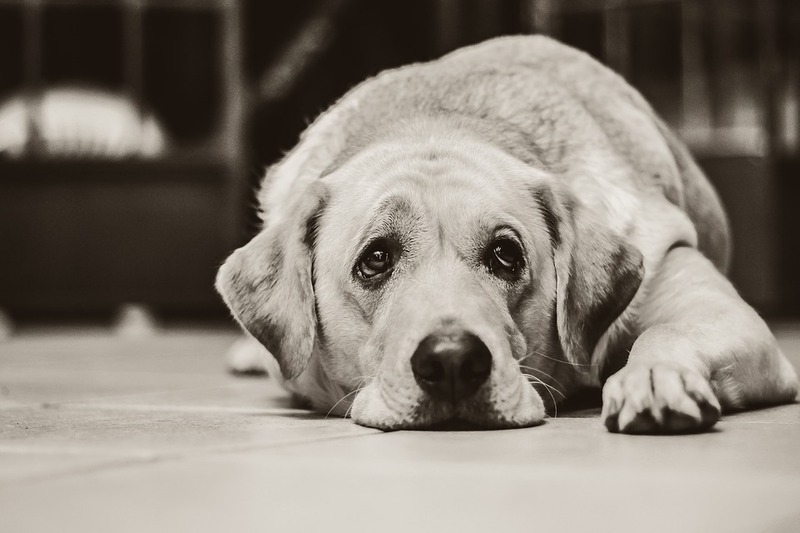 For those that present challenges, here are six red flags that signal the presence of behavioural problems you may have acquired along with your new dog. Some dogs engage in disturbing and destructive behaviors such as chewing, digging, and marking in inappropriate places. Puppies are the primary the culprit where destructive chewing is concerned, but all dogs enjoy chewing. Many a gardener has discovered to their horror just how much their new companion is given to digging. Sometimes, comprehension dawns as to the real reasons this animal was placed into rescue. Dogs that lunge against the leash suddenly range from being an annoyance to a real threat of bodily harm. Lunging is different from a dog that merely pulls on the leash. Lunging happens suddenly and without warning, often whenever another animal or person appears. Small dogs that lunge might escape and run toward danger if their owner is inattentive. Large dogs that lunge can pull their owners off their feet, causing real injury. Dogs in this category need special training to be safe in public. Another big warning sign is a dog without an off switch. What is an off switch? It’s the dog’s ability to self-regulate his energy and associated emotions. All dogs get excited from time to time, but the dog without an off switch just keeps ramping up and up. In multiple dog homes, this energy can quickly transform into a dog fight with the potential of injury for all present, human and canine alike. Otherwise pleasant dogs sometimes exhibit a behaviour known as resource guarding. These dogs are fiercely possessive of whatever they considered their property. Resources dogs consider worth guarding include food, toys, and occasionally, people. There are ways to extinguish resource guarding, but most people find it easier to manage the circumstances that elicit the behaviour than to effect a permanent cure. Dogs given to exhibiting all four of these behaviours toward people need to be professionally rehabilitated, if possible, or put down for the safety of all involved. Otherwise, you may find yourself in need of the services of a West Palm Beach injury lawyer of a to advise if not represent you. Barking, by itself and if not aggressive in nature, is a fixable problem. Growling is sometimes nothing more than a heed-worthy communication. Snapping, snarling, and biting however, all signal a high-level problem. There are remedies for almost all canine behaviours, but not all dog owners can provide them without help. Dogs from reputable breeders generally come with varying levels of training depending upon the dog’s age. Be prepared to discover areas in which your dog may not have received instruction, and be prepared to seek professional help as needed. Dog rescue is a good thing, but the rescuer must realize that a rescued dog has many unknown experiences under its collar and unknown genetic proclivities that may evidence in certain situations. Therefore, they are wise to proceed with caution. Most dog rescues are success stories that warm the heart. Many times, they are successful precisely because their owners chose to become informed in order to mitigate any risk in their relationship with their new furry friends.